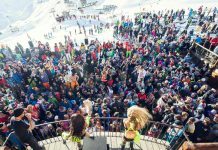 Whistler non ski activities you won’t want to miss! 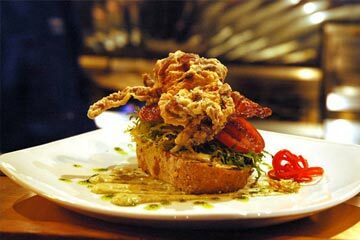 Whistler non ski activities can suit all needs when visiting. There is an abundance of non-skiing activities that can be enjoyed, including snowshoeing, paragliding, snowmobiling, dog sledging and ice skating. Feel the Rhythm! Feel the Rhyme! Get on up, it’s bobsled time! Cool Runnings! Just like the film, as an armature to the sport you too can be whizzing around the course with 3 others, this really is one for the bucket list! With guidance from a trained bobsleigh pilot (and reassurance from our detailed safety procedures), you and your team will coast through 10 twists and turns at speeds of 125+ km/hr and feel the acceleration of up to 4 G-forces as you reach the track’s final and famous Thunderbird Corner. Bobsleigh runs rain, snow or shine so it’s the perfect addition to your time in Whistler, whatever the weather. Launch yourself head-first (if you dare) down the quickest sliding track in the world! 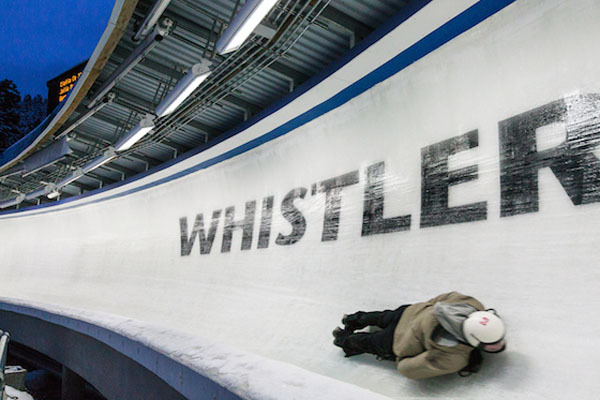 The Whistler Sliding Centre is the only place in Canada where anyone – yes you, can experience the rush of the skeleton. Participants take off from the Maple Leaf starting point, passing through six corners and clocking speeds up to 100 km/hr. You’ll get familiarized through a thorough safety orientation before taking to your own sledge and experiencing a rush like no other. 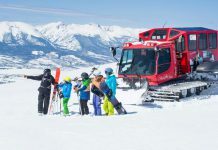 Where ever you go in the world, local knowledge is unbeatable, so be prepared to have your eyes opened to some of our best skiing and riding, available for intermediate and expert skiers & riders. See the Mountain through the eyes of a local Mountain Host. 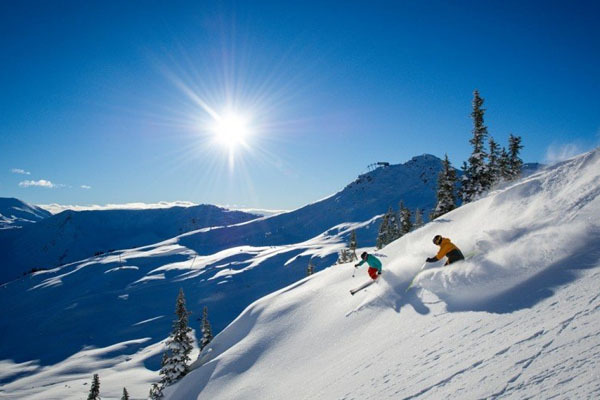 The Whistler Blackcomb Mountain Host program offers free orientation tours daily for Ski/Snowboarding and Sightseeing. Delve into the spruce and cedar forest on the edge of the Lost Lake to enjoy the outdoor pools in the eco-friendly Scandinave Spa. There are a great variety of wellness centres in Whistler. For a true indulgence, visit one of the most comprehensive spas in Canada, the Avello Spa & Health Club at the Westin, which offer more than 75 treatments. If you are staying in our recommend hotel, The Fairmont, you can relax with its range of pools, whirlpools and eucalyptus steam rooms, as well as free yoga classes! Found the perfect partner and now looking for a truly magical and sentimental place to make your vows? Choose from a unique setting on the slopes an idyllic park setting or in the warmth at the Edgewater Lodge. 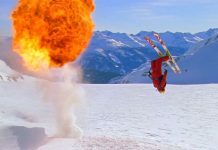 Looking to treat yourself or just want to take your skiing/snowboarding experience to the next level? 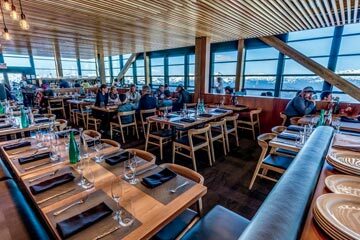 With exclusive rights to 432,000 acres of big mountain terrain that includes 173 glaciers and 475 runs, Whistler Heli-Skiing has what it takes to go the extra distance. With prices ranging from $898-$1,399, there is something for everyone’s ability and budget. A variety of packages are available for everyone from strong intermediates to seasoned experts. Make this the year! Looking for an activity for all the family to enjoy together? Give tubing ago – located in the Base 2 Zone on Blackcomb Mountain, the Coca-Cola Tube Park offers great fun for the young and the young at heart. Feel the wind in your face as you blast down our exhilarating tubing hill. No skills or equipment required – just a sense of adventure and a desire for excitement. 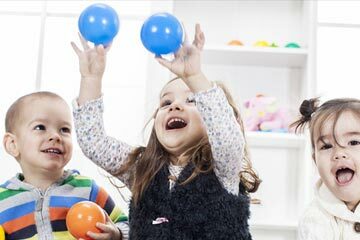 Price ranges from $14 (kids) – $23 (adults) for a one-hour session. Fresh tracks and breakfast… what more could you ask for!? 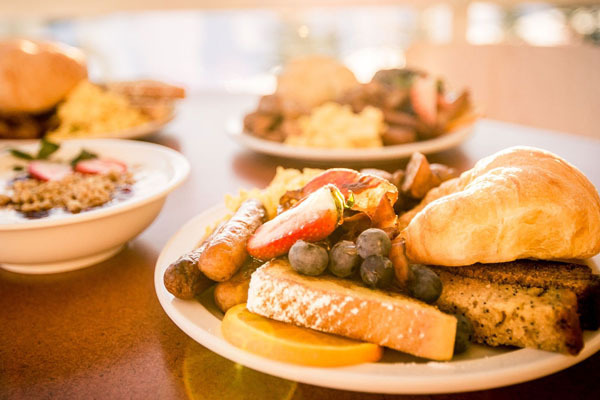 Grab a ticket and hop on the Whistler Village Gondola between 7:15 am and 8:00 am for a mountain-sized breakfast buffet at the Roundhouse Lodge, then enjoy fresh powder or perfectly groomed corduroy all to yourself. Advance or day-of tickets available at Guest Relations, any ticket window or online. Open December 16, 2016, to April 2, 2017. Kids under 6 go free, children are priced at $14.75 and an adult (13+) is $21.95. 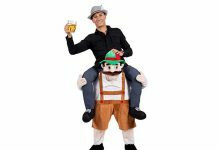 Looking for a day off the slopes but still in the snow? How about experience a high-flying adventure with Ziptrek’s network of zip lines and suspension bridges. 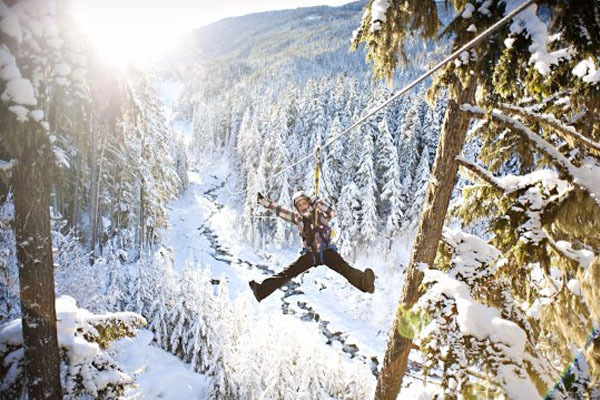 Whether it’s walking through the treetops or soaring across a network of zip lines above the Fitzsimmons Creek. Ziptrek offers an entertaining combination of high-wire adventure and ecological exploration on a choice of 3 guided zip line tours or our magnificent tree top adventures. 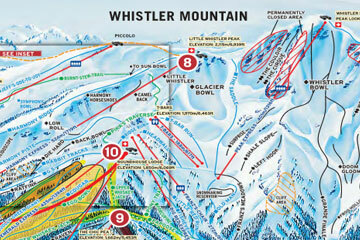 We hope you found the Whistler non ski activities post helpful. 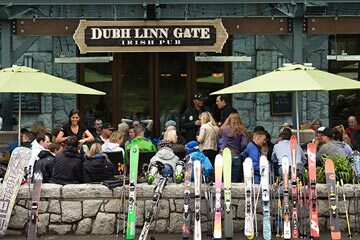 If you would like more assistance or are looking for the best places to stay in Whistler including some of the most popular hotels and apartments, please don’t hesitate to get in touch with one of our holiday experts or read more on Whistler here.